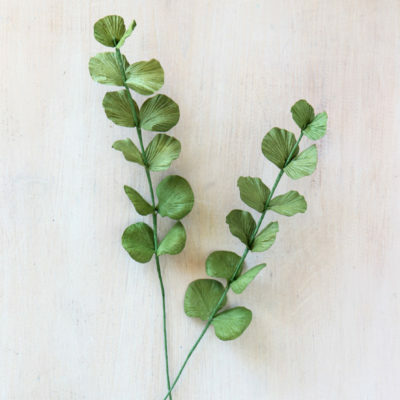 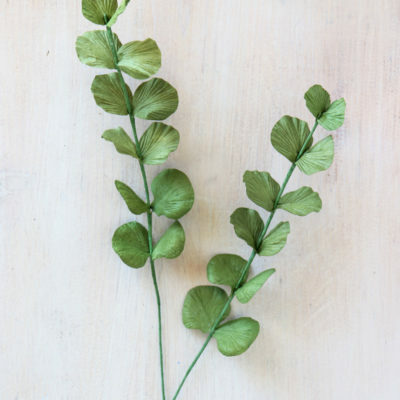 Paper foliage Eucalyptus stem with dark green leaves. Perfectly hand crafted from eco-friendly paper. 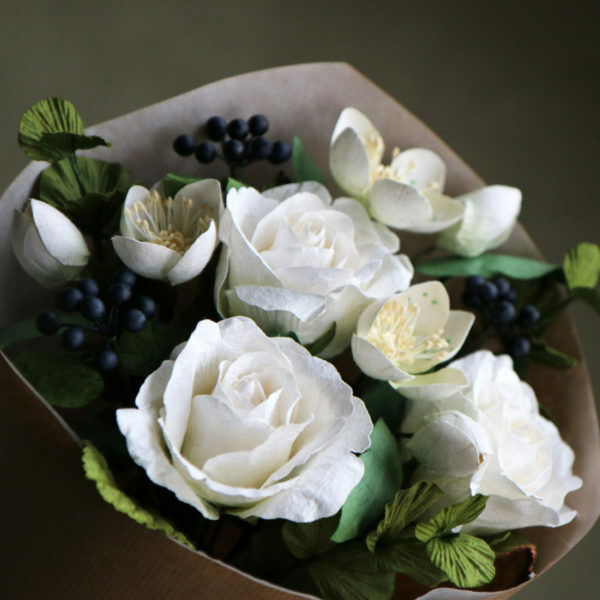 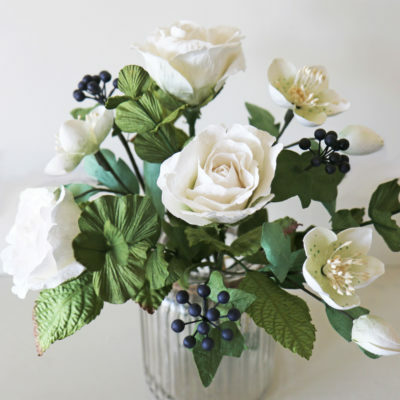 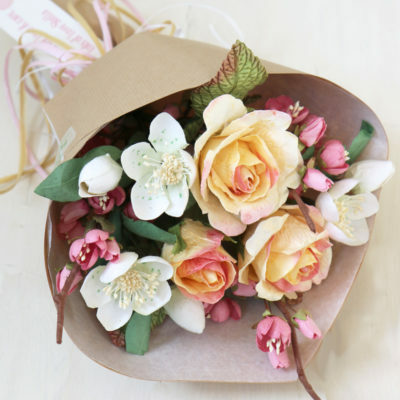 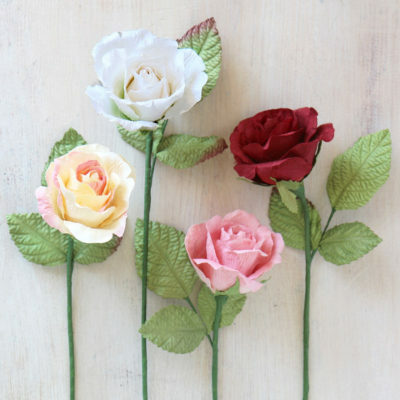 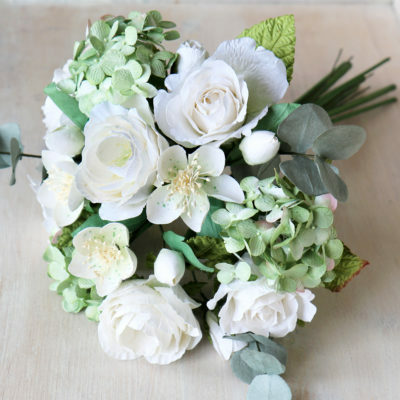 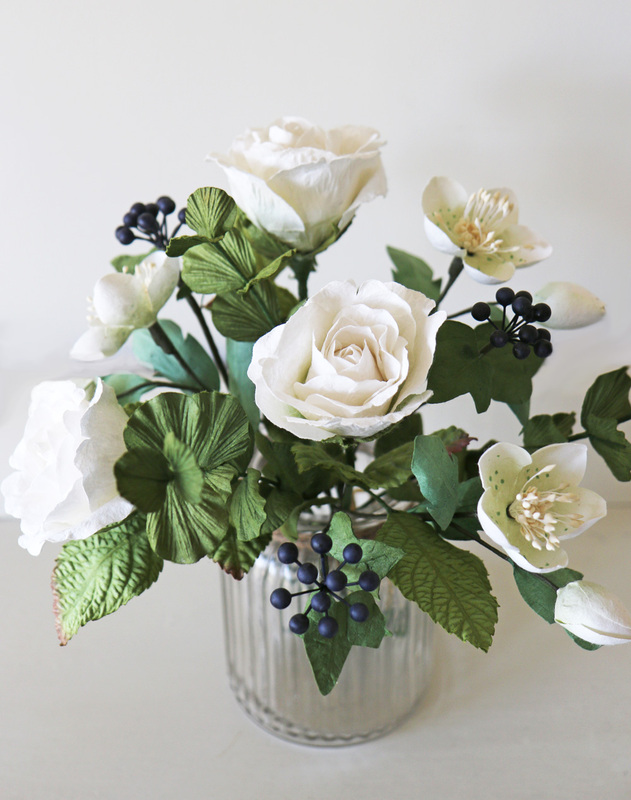 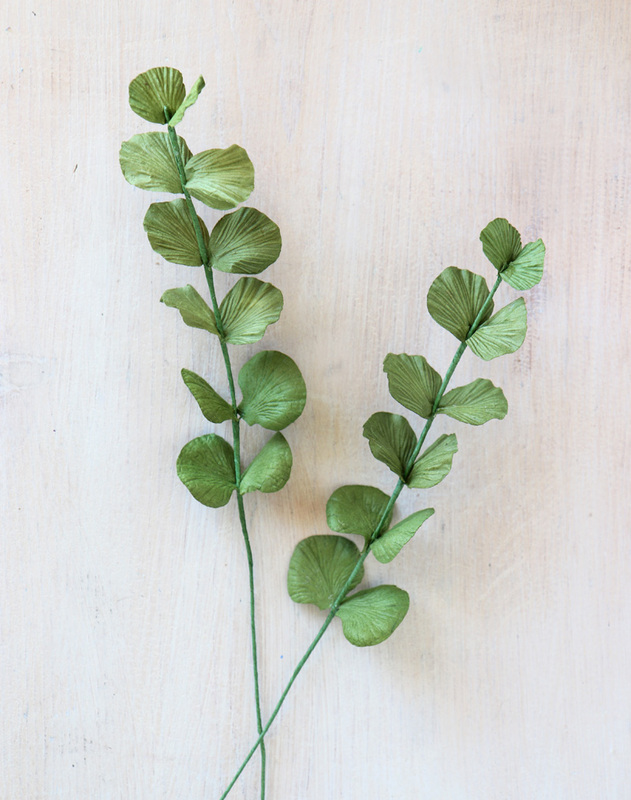 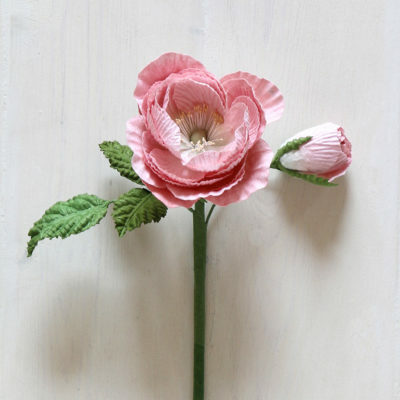 This stem mixes with our other standard sized paper flowers, to make a beautiful paper bouquet for a wedding or anniversary, home decoration or gift. 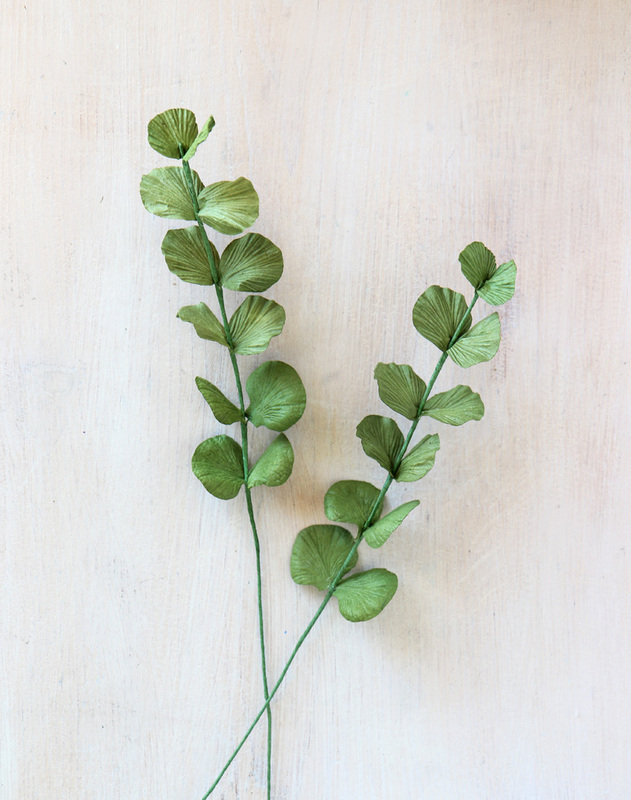 The stem is approx 40cm long with 12 textured leaves.